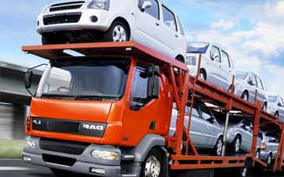 DTC Packers and Movers provide protected and rapid car carrier service in all over India. We have professional drivers and car carriers to move your cars and other vehicles within India. We always use Maruti car trailers, which are specially designed for safe moving of car and pother vehicles from one place to another. DTC packers and movers can also move car from client’s doorstep and can handle detailed documents on behalf of them if they required. Our Simple Car Shipping Philosophy in being auto movers Our commitment as a family owned and operated auto shipping business is simple that has created thousands of satisfied auto shipping customers: Treat your car like our car. Simple, right? Then why is it overlooked by so many others auto shipping companies. We, DTC packers and movers, offer professional and prompt car transport at affordable rates. We never cut car transport corners to cut costs of shipping your car. If you choose to Transport your car, we, DTC packers and movers, will transport your car wherever you're moving, we, DTC packers and movers, will make sure the shipping of your car is followed - safely, securely and cost-effectively. Please take the time to contact our car shipping customer service department so you can experience for yourself our quality of customer service. We, DTC packers and movers, are confident you will join the many other satisfied car transport customers who use our auto shipping service time after time and recommend us to their friends for all there car shipping needs. Our exceptional record for auto shipping safety and customer satisfaction assures the transportation of your vehicle will be simple, safe, and virtually effortless. Let our car transport staff put your mind at ease by custom tailoring our auto shipping services to meet your exact shipping needs and handling all the transport details. With our Transport Car services, we, DTC packers and movers, treat your car like we treat our own automobile. Shipping? Relocating? Then car shipping may be an issue. Let us handle your entire car shipping needs and make your family’s car shipping much simpler. We, DTC packers and movers, are the preferred car transport company of many major movers and moving and relocation services. Our quality of car shipping service is one to remember when you, your family or friends are shipping a car. We, DTC packers and movers, Are the key to all your car transportation needs Getting ready to transport your car across the country or state to state? We now offer the ease of online car transport and car shipping reservations. Quickly book your car transport of your Automobile, or do online tracking of your car today. You'll see that we offer one of the best car transporting and car shipping service in the industry. We, DTC packers and movers, understand that having someone transport your car is no small matter - your car is not only an expensive possession, it's also part of your family. Our 5 Star car transport Car Carriers take great care to ensure that the auto shipping of your car is protected from start to finish. And unlike other car carriers, once your car is on our transport, it doesn’t get off until it reaches its destination? There’s no loading and reloading at big consolidation centers. Minimized handling means a minimum risk of problems when transporting your car. Vehicle transport is what we do. Period! With our direct access to a large group of independent carriers, we cover moves to and from the 48 continental states. DTC packers and movers believe that moving your auto should be an effortless experience. Starting with our quick response to your quick quote request and ending with our safe, complaint free delivery of your vehicle, you’ll see that total satisfaction of vehicle transportation is possible with us. Transport Car (Car Shipping auto delivery, auto mover, auto movers, auto relocation, auto shipper, auto transporters, move car, transporting auto, vehicle shipping, vehicle transport, transport vehicle, transport auto, Car Transport, auto shippers, Ship Car, Moving Car Auto Transport -however you choose to say it) is a task of diligence and speed, but most of all carefulness. At the time of delivery, inspect your vehicle SLOWLY AND CAREFULLY and compare the condition and mileage against the "Original Inspection Report" provided by your car transport company at origination (ALSO INSPECT THE ROOF AND UNDER FRONT AND REAR BUMPERS). If there are inconsistencies, note them as exceptions and be sure the driver signs it. ONLY ACCEPT YOUR VEHICLE AT NIGHT IF YOU CAN VERIFY ITS CONDITION? Without being viewed and signed by the driver, you have little recourse if damage had occurred during transit. © 2016 DTC Packers and Movers. All rights reserved.